Pilot sequence - Xingmin Intelligent Transportation Systems (Group) Co., Ltd.
Xingmin Intelligent Transportation Systems (Group) Co., Ltd, has been in operation for two decades, experiencing wind and rain, striving for continuous development. 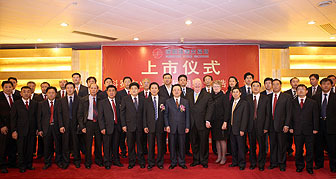 Since Xingmin was started, Xingmin has kept receiving guidance and solicitude from leaders of all levels, receiving support and care from our numerous customers, and receiving efforts and dedication from all Xingmin employees.‘Revitalizing the Chinese Nation and Bringing Benefits to Society’ was set as Xingmin’s company tenet at the very beginning of its establishment, and “ innovation, Diligence, Cooperation, and Tolerance’s as its company spirit, “Satisfying Xingmin’s customers, employees, shareholders and serving the society”as its operation philosophy, and “Striving for high-speed development, high-quality service, high-efficiency production and high-level advancement” as its working policy. Being united and pragmatic, ambitious and innovative, Xingmin has grown into an industrial giant in respect of steel wheel manufacturing from an unknown company. Technology – a source for continuous development of Xingmin. 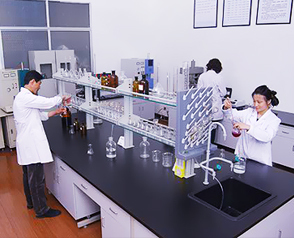 From the start of Xingmin ITS, science and technology has been applied into the DNA of Xingmin brand system to promote its development and expanding. Quality – the foundation for the growth of Xingmin. Since the beginning of its establishment, Xingmin has been pursuing to provide the society with high-quality services. “To achieve a hundred-year undertaking, quality first”, Xingmin always adheres to the development strategy of “Professional production of wheels, diligent in making high-quality products’ and been walking on the path of lean production and premium products. Customers – the key to the development of Xingmin. Dedicating to meeting the need of customers and achieving the maximum benefits for customers is the foundation for the rapid development of Xingmin. Relying on the cooperative concept of “Cooperation for win-win situation”, Xingmin has established a strategic partnership with many customers for the common development in the wheel market. its employees and the society and taking more social responsibility. God helps those who help themselves. as its goal, and provide the best service for all customers, achieving mutual development with all customers.